7. 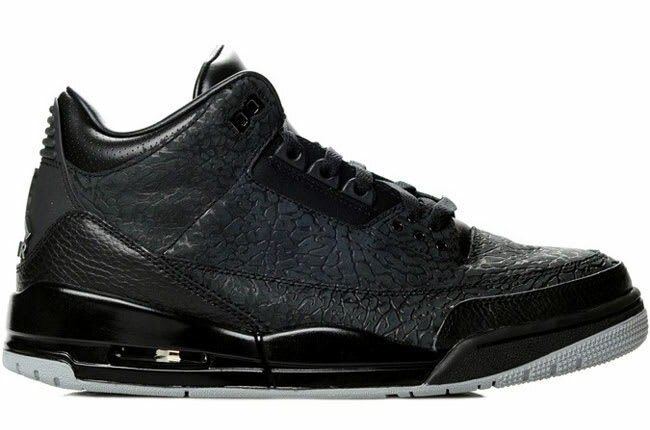 Air Jordan III "Black Flip"
Complex says: OK, fine, they're technically not out yet. But the "Black Flip" III is well beyond the "hurried cell phone pic" stage, and we're 99.9 percent sure these will be hitting shelves soon. So they get a spot. The black cement print gives them a degree of subtlety that the whites didn't have, and the tumbled leather on the heel and toe seems more luxurious.